Jim Evans at SuperYachtsMonaco sends news of further expansion as two new team members join the company with immediate effect. Vassilis Pateras and Davide Silvello will be based in Greece and Spain respectively and will provide clients with expert consultancy on the sale & purchase as well as charter of yachts in those regions and beyond. 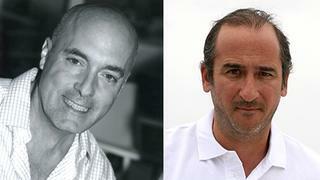 Says Jim, ‘We are delighted to welcome Vassilis and Davide to our growing team. Vassilis has been an active member of the shipping and yachting industry for many years and as one of only three winners of the Round Britain Powerboat race he is extremely well placed to help develop our business.